Four years after the sensational discovery of the ‘Higgs boson’, the CERN research centre is about to undertake a remarkable new experiment. The experiment is a journey through the remotest time and on the smallest scale that we can imagine: an exploration of matter about one millionth of a second following the Big Bang that generated our universe. 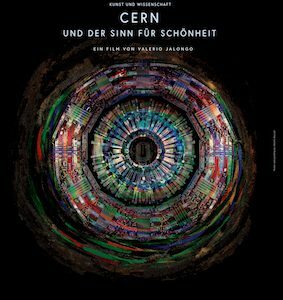 As the new experiment at CERN proceeds in its exploration of the mysterious energy that animates the universe, scientists and artists guide us towards the shadow line where science and art, in different ways, pursue truth and beauty. Some of these men and women believe in god, while others believe only in experiment and doubt. But in their search for truth they are all alert to an elusive sixth – or seventh – sense… the sense of beauty. Zum ersten Mal in der Geschichte der Menschheit sind wir gezwungen, uns ernsthaft mit der Zukunft der Erde auseinanderzusetzen, und zwar im globalen Kontext. Wir brauchen neue Energiekonzepte: Energieproduktion, -verteilung und -verbrauch müssen grundlegend neu definiert und organisiert werden. Bei allen Herausforderungen liegen auch einmalige Chancen in diesem Transformationsprozess. Wie packen wir die Zukunft an? Welche Konzepte sind vielversprechend? Wo stehen wir?